A quiet sleeper and a peaceful reader! Choosing the right CPAP mask does not have to be a frustrating process. This guide describes easy solutions to common problems, and previews all types of CPAP masks so you can find the perfect fit! 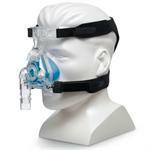 Mask leaks are among the most common of CPAP problems you will have. Picking the correct shape and size cushion for your face is the easiest fix for leaks. Cleaning the cushion on a regular basis will also cut down on leaks. Men with facial hair can experience leaks. This is due to the hair not allowing the cushion to seal to the face properly, especially when using a full face cushion. A nasal or nasal pillow mask may be more beneficial to men with an abundance of facial hair. A cushion that is too big will cause the mask to be uncomfortable. Tight cushions will also lead to discomfort. Mask headgear that is too loose will cause the mask to move and shift, which is annoying. Headgear that is too tight will squeeze your face, also causing discomfort. Dry skin is another cause for discomfort. The cushion may rub over your dry skin and cause irritation. Mouth breathing is the most common reason for a dry mouth. Humidified air will help your mouth retain the moisture. A nasal or nasal pillow mask will not cause a dry mouth, because you breathe nasally or use a chinstrap. A CPAP machine without a humidifier is the most likely culprit for this issue. Dry air going through the nose will cause dryness and lead to an irritated nose. Too much humidification will cause excess condensation, therefore resulting in a runny nose. Loose mask headgear causes the mask to come off or the mask cushion to come unsealed. Mask headgear that is not attached properly will cause the mask to come off while in use. A mask cushion that is the wrong size leads to the CPAP mask coming off, as well. Claustrophobia is more of a case-by-case issue. Full face masks tend to cause claustrophobia more than the other types. Certain people will experience claustrophobia even with nasal or nasal pillow masks. Picking the correct type of mask is crucial to your treatment. The shape and size of your face will determine which of the following mask types is right for you. The traditional types of CPAP masks are full face, nasal, and nasal pillow. Review the information below to determine which one is best for you! A full face mask is the only option of the three if you are a mouth breather. A nasal or nasal pillow mask would be useless if you breathe through your mouth, because neither of the masks cover that area. The full face mask cushions have a wider surface area. A larger area means that the pressure felt from the airflow will be over a greater area, which makes the airflow feel less than it is. Nasal and nasal pillow masks are not as friendly in this aspect. The cushions are smaller and, therefore, give the full effect of the airflow pressure. Frequent cold or sinus issues can make it difficult for you to benefit from nasal or nasal pillow masks. Sleeping on your back is the perfect position for a full face mask. People that sleep on their backs move less throughout the night, certainly lowering the risk of the mask coming off. Full face masks have a greater surface area. A larger surface area results in a greater chance of a leak. A higher chance of a leak, not that it will happen. A small leak with a full face cushion can lead to dry eyes, even though your eyes are closed. Full face cushions are large, and lie directly beneath your eyes. Any air that escapes out of the top of the cushion goes up underneath your eyelids, therefore causing irritation. 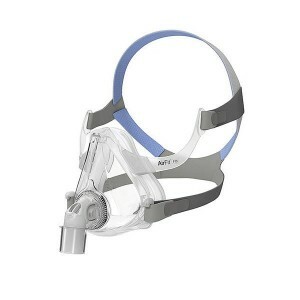 A full face mask is the largest type of CPAP mask. This can be troublesome you if you sleep on your stomach or side because of the bulky nature of the mask. Full face masks cover more of your face. You may find it more difficult to wear glasses, watch TV, or read while wearing a full face mask due to the large size. The nasal masks are not as bulky as the full face masks. Nasal masks allow more shifting and movement during sleep, so therapy is not interrupted. Much like the full face masks, the nasal masks can make a higher setting feel like there is less air pressure. Larger cushions allow more volume of air, therefore you feel less “pressure” through your nose. Nasal CPAP masks are the most popular and most commonly used masks. Therefore, nasal masks have the largest selection of brands and styles to choose from. The airflow that comes from a nasal cushion is “indirect” air. Rather than the air being pushed directly into the nostrils, the air fills the cushion and releases into the nostrils at a slower pace. This appeals to people who are opposed to feeling like air is being forced into their nose. Nasal cushions only utilize the nose due to the nature of the cushion. A person who is mainly a “mouth-breather” will not benefit from a nasal mask. You may experience pressure on your nose, as a result some possible irritation can arise in the morning. Some nasal masks come with forehead pads that can create pressure on the forehead. Nasal breathing is an issue when nasal airway becomes reduced or blocked from chronic allergies. If you cannot breathe out of your nose a nasal mask becomes an issue. If you have a deviated septum, or narrow/collapsed nasal valve nasal masks may not work for you. People with these conditions may want to consider a full face mask. The nasal pillow masks are more compact than nasal and full face masks. Therapy is negatively affected by masks getting tangled with pillows and/or sheets. Nasal pillow cushions create a seal directly with the user’s nostrils. There is no reason to get a full face mask if you breathe primarily through your nose, unless it is a personal preference. The larger CPAP masks can cause users to feel a bit more “trapped” while wearing them. Nasal pillow masks are lightweight and compact, therefore reducing the claustrophobic feel. Hair in between the cushion and skin of the user can cause leaks to occur frequently. Pillow cushions create a seal with the nostrils, therefore eliminating the need to create a seal where there is facial hair present. CPAP users that require a higher-pressure setting may not be compatible with the nasal pillows. The pillows create a direct seal with your nostrils, as a result all the air pressure is going directly through your nose. Even with a lower pressure setting, the entirety of the airflow is going through the nose. Direct nasal airflow can potentially cause dried nasal cavities, nosebleeds, irritation, etc. Nasal pillow cushions only involve the nostrils rather than the mouth. A user who breathes primarily through the mouth would find this mask less helpful. NOTE: A chinstrap will benefit you if a nasal pillow mask is more appealing. The chinstrap keeps your mouth shut, as a result it promotes nasal breathing. Nasal cradle masks are similar in size to nasal and nasal pillow masks. They are lightweight and compact compared to full face masks. Some users like to feel as if they have nothing on their face. Nasal cradle masks work if you breathe through your nose. If you are a nose breather or choose to use a chinstrap the nasal cradle mask is a great option. Nasal cradle masks have a “natural” airflow feeling much like nasal masks. The air fills the cushion so you do not feel “forced” to breathe. Nasal cradle masks are small profile masks like nasal and nasal pillow masks. The compact nature of the nasal cradle masks makes therapy easier while shifting throughout the night. There is currently only one style of nasal cradle mask. These are nasal masks, consequently a mouth breather would not benefit from this mask. You can utilize this mask with a chinstrap. Users that have a history of chronic allergies or are prone to get cold and sinus issues regularly may want to steer clear of the nasal masks. 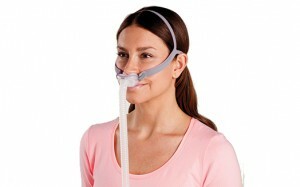 Conditions that affect breathing through the nose are not ideal for a user with a nasal cradle mask. People with a deviated septum, narrow or collapsed nasal valve will not find comfort in a nasal cradle mask. The conditions will prevent the user from breathing through their nose properly, therefore making this mask useless. Mouth breathers would greatly benefit from this type of mask. All the airflow goes through the mouth, while nasal-based masks do not. Chinstraps assist you in keeping your mouth shut. An oral mask is therefore beneficial to you due to not needing a chinstrap. A high-pressure setting is easily handled through your mouth as opposed to your nose. The airflow has a larger space to work with in the mouth than the nose. Chronic health issues can prevent or hinder breathing through your nose. Oral masks will benefit you if you have a deviated septum or other nasal issues. People who primarily breathe through their nose will likely not benefit from an oral mask. You can potentially wake up in the middle of the night or in the morning with a dry mouth or sore throat. CPAP machines without humidifiers will promote this issue, as well. There are currently only a couple of choices for oral CPAP masks. The CPAP mask recommended in this guide may not be right for you, therefore the decision is ultimately up to you. 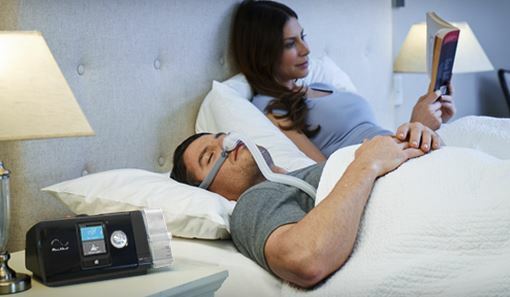 An enormous aspect of compliance with CPAP therapy is comfort. If you are not comfortable you will likely not respond well to the treatment. 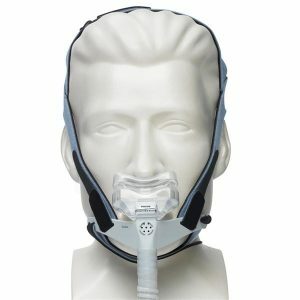 Knowing whether you are a mouth breather or nose breather is a factor in deciding which kind of CPAP mask to purchase. 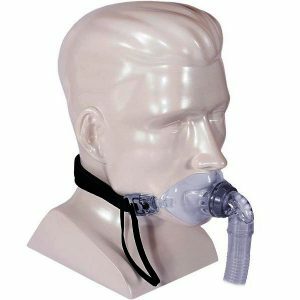 Full face CPAP masks are better for mouth breathers than nasal masks. Nasal breathers more often choose nasal or nasal pillow masks. The ultimate key to CPAP success is to be patient. The first night, week, or month may be difficult. CPAP therapy helps you with a serious medical condition, so allow your body some time to adjust to the process.